It’s time to quit: health experts are calling on local smokers to give cigarettes the flick. Make World No Tobacco Day, May 31, the day you finally give cigarettes the flick. 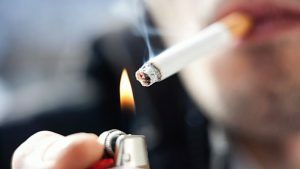 Health experts from South Western Sydney Local Health District say tobacco smoking is a leading cause of preventable disease and death in Australia, including coronary heart disease, stroke and many cancers. Mandy Williams, the District’s director of health promotion, said it was never too late for smokers to kick the habit and improve their health. “Even after years of smoking you can still improve your health within minutes of your last cigarette,” Ms Williams said. World No Tobacco Day is a World Health Organisation initiative and this year the day highlights the impact tobacco has on the cardiovascular health of smokers around the world. Ms Williams said the devastating impact tobacco had on cardiovascular health was an added incentive for people to focus on quitting. “Not only can smoking cigarettes cause harm to the smoker, but people around the smoker can also develop long term health problems,” she said. Ms Williams said using nicotine replacement therapy combined with smoking cessation counselling could double a person’s chances of successfully quitting. “If you have made a quit attempt before and were unsuccessful, learn what tripped you up and plan some practical strategies to increase your chance of success the next time,” she said. On weekends, winger Corey Thompson scores tries for the Wests Tigers like this one against the Bulldogs on Sunday but this Thursday, May 31, he will be at Campbelltown Hospital for World No Tobacco Day. Activities will include a push-up competition, which will be judged by Thompson between 10am and 11am. The NSW Government allocated more than $6 million in the 2017-18 State Budget for tobacco control including into the Cancer Institute NSW’s Quitline and iCanQuit services. Enforcement and tough laws have also played a key role in driving down smoking rates, with more than 3,200 tobacco retailers inspected from July 2016 to June 2017. Establish a healthy routine including exercising regularly and eating a healthy diet.